Tori Kelly is an American Singer/Songwriter who first gained recognition over Youtube at 14. Two years later, she successfully auditioned for American Idol. She did not reach the top 24. After being signed to major US label Capitol Records, Tori released her EP titled “Foreword” as her first release under a label. With the help of Ed Sheeran and known producers/writers like Toby Gad and Max Martin she started working on her debut album. The the album’s lead single “Nobody Love” received mostly positive reviews and became her first song to enter weekly charts, reaching top 5 in New Zealand and Top 20 in Australia. On June 23rd, Tori Kelly released “Unbreakable Smile” under Capitol Records and Schoolboy Records. 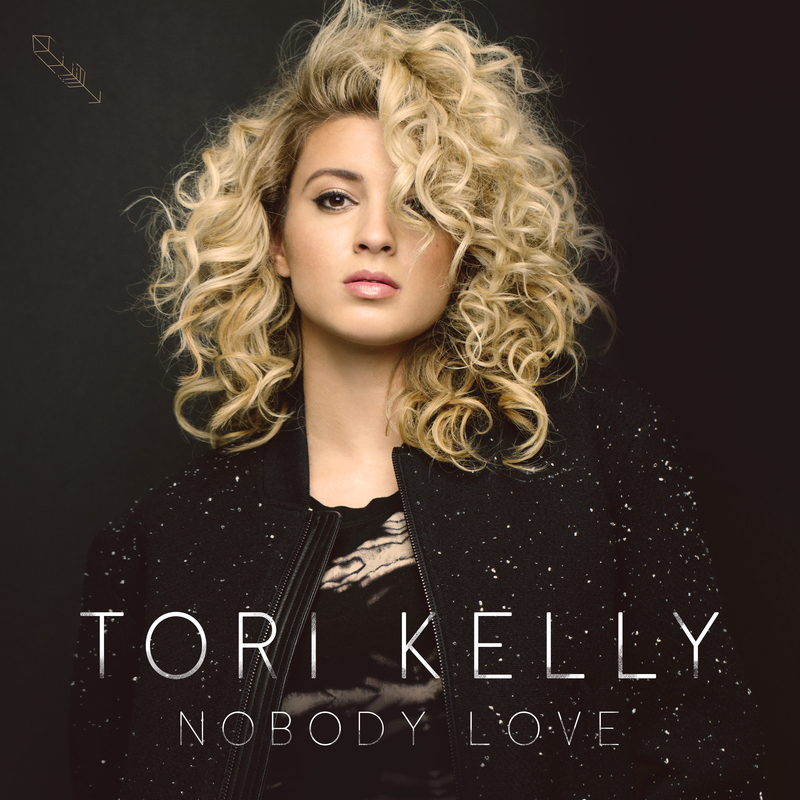 Next is the album’s first single, “Nobody Love“, also her first top 40 radio hit and the first song that enabled Tori to perform on big TV platforms such as the 2015 Billboard Music Awards.In “Nobody Love”, Tori sings about a not-so-ok relationship, which she can’t stay away from. “I try my best to fight it, say I hate you but I always stay.” The song sounds like classic Max Martin – well produced song with incredibly catchy hooks and melodies. Again, there’s an old-school production mixed with modern RnB-sounds, which compliment’s Tori’s strong vocals incredibly well throughout this album. Despite this being an obvious radio hit, Max Martin’s production and Tori’s vocals really help this song stand out from anything that is on the radio today. Continuing with another sassy anthem, “Expensive (feat Daye Jack)“, Tori explains that her love can’t be bought – very much to the style of Jennifer Lopez’ “Love Don’t Cost A Thing”. As one of the strongest points of the album, the song once again features a funky, old-school based production. The saxophones in this track reminds of an upgraded version of Ariana Grande’s “Problem”. Daye Jack is a nice addition to this track, he definitely managed to bring the “modern” to this track. The electronic influences on “City Dove” might seem surprising at first, but they really do help separate the song from a lot of other songs on this album. City Dove is a mid-tempo ballad and another opportunity for Tori Kelly to show off her amazing vocals. “City dove, fly between the buildings and fences, soft inside but rough on the edges, waiting here for something to come just holdin’ on”. This well-written song, although not the best, serves as a great addition to this album as it’s sound is quite unique, which makes it not get lost between the other mid-tempo and ballads in this album. The next track “Talk” definitely seems like a filler on this album. The production on her vocals even make it hard to recognize Tori’s own vocals. The lyrics are also not something we haven’t heard before on this album. Overall this track doesn’t feel right on this album, it can’t stand on its own with mediocre lyrics, and this time, not even Tori’s vocals being on par with what she usually can do. “Funny (Live)” is a nice addition to this album, standing out through Tori’s completely untouched vocals and guitar sounds. This song is used to make the audience really connect on a personal level. With how the lyrics are composed, Tori is really able to talk directly to her audience with this. The song is however fairly long and the longest on this album with 4:17 track length. “Art Of Letting Go” is the album’s first real break up song, where Kelly talks about always going back to that one person and not being able to let go of the relationship. “Wanna move on, but I’m scared of losing you, I can’t seem to master the art of letting you go”. The song has a nice, laid-back production and Tori Kelly sounds a lot like JoJo, even more than she already does. I’m not complaining though! Although it has to be said that this song is definitely not the strongest on the album. “California Lovers” is a mix of an uptempo and a midtempo song. It features quite heavy production on its instrumental and Tori’s vocals, but this time it works out surprisingly well. The song is extremely light with summery lyrics and quite catchy melodies. However, the production somehow keeps this song from feeling like a “summer song”. Again, not one of the stronger songs on this album, though it does give a nice balance to this album, considering most other songs have rather heavy lyrics. “Falling Slow” reminds of a RnB ballad released in the 2000’s. The track is a love song with a quite unique feel to it. “I’m not a queen, I’m not a saint I’m not an angel, Sometimes I’m wrong, I can be bad, Act like a stranger” The RnB production on this song along with the nicely placed harmonies makes this song separate itself from a lot of other songs on this album. It’s definitely a nice throwback to the old RnB sounds. “Anyway” serves as a fun, upbeat song to close out this album. The song once again features a RnB leaned production. The light, relatively easy and sometimes repetitive lyrics and Tori’s harmonies on this song really complement each other. There’s even a short period of Tori talk-singing or “rapping” in the second half of the song. “Because I’m up, I’m down, I’m left, I’m right, I’m a be myself all day and night, Whether you leave or stay, This is me any anyway” If you need a fun, sassy song to jam to, this is definitely your go-to on this album. The whole feel of the song is actually quite funny, the sass and light lyrics can really brighten up your day. You’ll find yourself singing along to it in no time! There’s also a bonus edition of this album available, including two new tracks (“Dear No One” and “Beautiful Things“) which I won’t go in detail about, but if you liked the album you will definitely enjoy those aswell. The album is a really good 8/10 for me, standout tracks being “Expensive”, “Anyway”, “Nobody Love” and “I Was Made For Loving You”. The old-school RnB/Pop production keeps this album very well together, while most songs also have an unique element to them (for example the electronic sounds in “City Dove”). On most of the tracks, Tori Kelly gets to show the audience she’s more than just a singer/songwriter, she’s a vocalist aswell. As one of the most talented young artists today, this album is extremely impressive. It gets even more impressive when you take on the fact that Tori has co-written every single track on this album. When I heard that Max Martin was executive producing this album I was expecting it to be full of songs like Ariana Grande’s “Problem” with little variation. I was so wrong! While the production is very similar on a lot of tracks, it really feels like every song has its own identity. This is not just an effect from the album’s great production, but also the lyrics, Tori’s vocals and the way she emotes differently on every song. This album is great because it’s for everyone. It’s for people who are into female vocalists, people who are into pop, or RnB, or singer/songwriter type of music. I definitely suggest you take time to listen to Unbreakable Smile and give it a fair shot, because it is worth it! What did you think of the album? Share your thoughts with me in the comment section below. If you have any requests for reviews you can write that down in a comment or hit me up on twitter @DawleyGaming or write an email at dawleygaming@hotmail.com and i will try to take your requests into consideration! Have you listened to Bottled Up and Personal? Both songs on the Target Exclusive Album that I love! I didn’t know it had a Target Exclusive. I should definitely check those out then! Unbreakable Smile is a gem. I totally agree. One of the best albums of the year! I love Nobody Love so much! I prefer the acoustic version of it though. I hope she smashes.